The perfect smile for a perfect complexion. 1. I would like to fix the layout of my teeth and but I would like to avoid pre-grinds of teeth. What can be done? Modern prosthetics try to solve the problem of aesthetics of your teeth without sanding, if there is an appropriate indication. It is done with luminates, composite scales with traces of ceramic that are bonded to the tooth surface which preserves them. The possibility of making such a prosthetic device can lbe done only after the check up at our office MeDenta. 2. What is a non metal ceramics? Nonmetal ceramics (zirconia, Emax, alumina) is a type of dentures without metal substrates, completely white. It is characterized by the highest degree of transparency, translucency, and all other aesthetic qualities. It is absolutely biocompatible. 3. What are the advantages of non metal ceramics as compared to metal-ceramic? Free ceramics has the advantage of all the aesthetic parameters. Not having the black metal edge (as with metal ceramic crowns), which after a long time can give a dark tinge to the edge of the gums. The main indication for their development relates to the front region. 4. Why is free ceramics more expensive? The mechanism of making metal ceramics has higher costs than in metal-ceramic. 5. I would like to apply crowns on all teeth, how much time is needed for that? If preprosthetic preparation is necessary, the complete process of making prosthetic work in both jaws, can be done in a period of 7 – 10 days. 6. Are metal-ceramic crowns visible on the edge of the gums? If it is adequately done prosthetic work is not visible. After a long time as a result of gum recession, this can become more or less visible. Veneers are metal-free ceramic shells that are glued to the surface of the previously buffed teeth. It should be noted that the degree of grinding for this kind of work, is significantly lower than with conventional crown and not just on the front surface of teeth. In the dental office MeDENTA this type of work is performed for many years and we have very good results of satisfied patients. Make an appointment! Luminires are the composite flakes with traces of pottery in itself which does not require prior grinding of teeth. For this type of prosthetic work adequate indications are requiered, which can be determined only after checkups at MeDENTA. 9. What are ceramic bridges? Ceramic bridges are dentures that are used to compensate for the lack of one or more teeth. They can be made of metal-ceramic or metal-free. 10. I miss a tooth. Is it better to make a bridge or an implant? To answer this question requires a professional consultation with a dentist that inlcludes analysis of objective conditions, clinical examination and analysis of footage. Implantology is the imperative of modern dentistry and investment in the future. So the answer might be- implant, however, it is necessary to have a check up, a good treatment plan and adequate general health of the patient. Make an appointment! 11. I have ceramic bridges in the mouth. Do they require specific measures of hygiene? Any type of tooth work requires the necessary hygiene measures carried out by the patient as instructed by the dentist and regular check-ups every 6 to 12 months. 1. I would like to put an implant. How do I know if this is possible? Implant placement primarily requires an analysis of anatomic jaw structures, as well as the health status of the patient. All the following factors are crucial, significant bone height and width of the alveolar ridge, the height of the floor of the maxillary sinus in the upper jaw, distance mandibular canal in the lower jaw, etc. When all the anatomical parameters and the patient’s condition does not indicate any contraindications, implant placement. can be done. 2. How much time is needed from the moment implant placement to the crown? After insertion of an implant, in certain cases it is necessary to wait for a period of 2 to 4 months. In this period the process of osseointegration occurs, when trabecular bone is growing into the threads of the implant and provides adequate implant stability. Modern implantology is trying to make the whole process faster (setting crown to 7 days after dental implants), however, for such ventures additional scientific evaluation of a large number of experimental cases is necessary. Looking at conventional implant cases it should not be performed earlier than 2 months after the installation in the upper and 2.5 to 3 months in the lower jaw. 3. Can I get a fixed work, although I do not have any teeth in the jaw? Of course there is a possibility, but only if there is a possibility of using dental implants in edentulous jaws. 4. What is the minimum number of implants necessary to do a fixed work in one jaw? Minimum number of implants to achieve a fixed work is 4-6 implants in the upper and 6 implants in the lower jaw. Increasing the number of implants has a positive impact on stabilising fix work. 5. Can the implant fall out? Modern implantology has really improved the art of using dental implants. Recent research has shown that the success of the therapy exceeded the percentage of 99%. It is stated that out of 100 implants only 1 implant is lost, statistically speaking. In terms of using dental implants if they fulfill the criteria of quality manufacturers, adequate indications, surgical and prosthetic protocols, then the success of therapy depends solely on patient care in prosthetic work in terms of hygiene (see implantology, question 13). 6. Can the implants stabilize complete dentures? Dental implant can certainly well stabilise prosthesis. Mostly this topic relates to the lower jaw, which is significantly more problematic in terms of retention (a small area of ​​tissue retention and stabilization). Patients often complain that their lower denture “walking in the mouth” during speech and eating. Complete denture may be worn well with standard and mini implants if the resorption of the mandible progressed. Studies have shown that the quality of life of patients affects stabilization of total implant prosthesis. 7. How do I know that my body accept implants? The period of osseointegration implant lasts from 2 to 4 months. There are two types of loss of implants: early and late. In early loss, it usually occurs in the first 2 weeks of application. Once this period has passed, chances are that it will accept the implant body. Sometimes it happens that the rejection appears in the second month of the installation, but those chances are almost insignificant. Periimplantitis is an inflammation of the tissue around the inserted implant. The most common reason for loss of the implant. It can occur immediately after installation, but also after many years. The reasons for the emergence of periimplantitis are usually inadequate hygiene (see division implantology, see question 13), radiotherapy or poor prosthetic restorations. 9. Which implant is the best? In the field of implant, manufacturers are always competing, new systems, new materials producers… Manufacturers that have been the best at making the best implants are: Astra Tech, Straumann, Nobel Biocare. In our MeDENTA office we have been using two out of three three leading implant systems: Astra Tech and Straumann. 10. I do not have any teeth, but I can not wear dentures. What can be done to get a fixed work? The answer to this question is partly answered in no. 3 and no. 5. Ability to create fixed work can be achieved by using implants or their installation can encourage better retention of existing dentures. 11. One implant may holdonly one tooth? Physiologically most favorable condition is that an implant carries a tooth. Also, it is very often that the implants carriers of the bridge 3, 4 members including circular bridge. It should be noted that the increase in the number of implants increases the stability of a prosthetic device, where it can not go below the statutory minimum. 12. Metal portion of the implant below the crown is visible. What happened? Position of gums is in direct conflict with the level of the bone. Bone resorption is a natural thing and it happens regardless of whether there is a bone around the implant or around a natural tooth. So that the visibility of the metal part of the implant is likely associated with bone resorption, if we exclude the possibility of inadequate suppression of the implant in relation to the surface of the bone of the alveolar ridge. 13. Do implants require specific measures of hygiene? Oral hygiene are extremely important. In the dental office MeDENTA we put special emphasis on educating patients about oral hygiene regarding prosthetic and implant-treated patients. Particularly important are regular check-ups of these patients, the use of appropriate tools and techniques for maintaining oral hygiene (soft toothbrush, dental floss, interdental brushes…). 14. How often it happens that the body rejects the implant? The answer to this question is contained entirely in the answer no. 5. The possibility of rejection of the implant is reduced to below 1%. Which means that out of 100 implants only 1 implant is rejected. 1. Why are white fillings better than black? “White fillings,” or composite, are no longer an alternative. Amalgam, material for “black seal” has long been out of use, its chemical composition has been put on “black list” of the world. The composite got physical and chemical characteristics and fully justifies its use for all dental fillings. It is not only aesthetically better, but also physically. 2. Do I need to replace black with white fillings? Our opinion is that it absolutely must be done. Please see questions no. 1. 3. Is dental treatment painful? In practice MEDENTA all interventions are performed under local anesthesia, so the dental treatment is painless and comfortable. There are concerns about the term “dental treatment”. We, in practice, we mean endodontic treatment of teeth – extraction and treatment of nerve root canal. 4. My whole crown of the tooth broke, do I need to extract this tooth? The tooth that has broken the crown, and has a healthy root (without trial), should be absolutely kept. It can be decided only when clinical and X-ray tooth is done. Good root can be successfully cured and it can be used as a basis for new crowns and new ceramic or even composite crowns. 5. Can white filling seem like a natural tooth? The goal of any therapist who models the filling is to fulfill the morphological characteristics of the tooth where the filling is made. Properly modeled and processed restoration will match its appearance. 6. I have the white filling on the front teeth, but there was something black under it. What should I do? You must come to our office where it will be determined whether the filling only changed color or a secondary (new) cavity appeared under the filling. Based on the diagnosis, the doctor will determine the treatment. 7. I treated tooth but it become black. What should I do? There is a possibility that a treated/dead tooth changes its color. It is known why this occurs. If the tooth is in the front region, or it is simply visible, the best way is to apply composite veneers on the surface (which can be done in our office or in dental technology). It is possible that tooth coated ceramic crown. In certain situations, there is a possibility of specific teeth whitening (bleaching teeth through), and very good results can be achieved. 8. I just put filling, and quickly it broke. What happened? There are several reasons why a new filling may fracture. Disregard forms of resistance and retention form, or the occurrence of excessive trauma to the function of chewing. 9. Is it normal to have a toothache and I recently put a new filling? It often happens that after appying a new filling the tooth becomes more or less sensitive. The nature of pain should be determined after looking at medical history. The reasons may be banal (high neuartikulisana stopping reaction to any component of the filling) or very serious (too close to the pulp – dental nerve). Depending on the cause, require various interventions. 10. My teeth hurt on cold, what do I do? 11. My teeth hurt when I chew hard food, what to do? If tooth hurts on pressure, and was recently treated with fillling, the first thing to be suspected is a filling applied too high. Another reason might be the tooth disease or periodontal disease – tissue around the teeth (see question 9). 1. I need to extract a tooth that hurts, is that complicated? Tooth extraction is one of the routine dental interventions. It can be easier and more complicated. There is one funny dental rule that there is no dentist who likes when patient asks in advance how long will it take. It makes intervention more complicated and longer. The most important thing is that you are in safe hands. See you at the dental office MeDENTA. 2. How is impacted wisdom tooth removed? Impacted wisdom tooth is completely or partially tooth for which recovery flap reflection is necessary. Also it is necessary to remove a piece of bone around the teeth in order to be accessed. 3. Swollen because of wisdom teeth. Do I have to extract it? Swelling of the wisdom tooth usually indicates the presence of infection which is unconditional indication for tooth extraction. 4. I have an impacted wisdom tooth, and it began to hurt. What should I do? Impacted wisdom teeth usually leads to extraction. 5. Swollen because of the tooth and it hurts a lot. Can I immediately extract it? When it is determined that tooth is causing the infections and swelling, extraction is necessary as soon as possible, if there are conditions. 6. I have been told that I have a process on the tooth. What do I have to do? The presence of so-called. “Process” to the tooth usually can be successfully cured by the intervention of which is known as apikotomija (resection of the root apex of the tooth). 7. I have a cyst in the jaw bone. How are they treated? Jaw cysts are relatively common pathological formations that are successfully treated surgically removing jaw cysts. 8. A large number of teeth was extracted, and now that is all overgrown I feel sharp bumps under the tongue that hurt. What to do? It is necessary to make the surgical leveling ridge and round off the sharp edges of bone that have arisen as a consequence of a tooth extraction. 9. They told me that I do not have a sufficient amount of bone for implant placement, is there still some solution? There is always a solution. Good will of the patient for long term treatment and slightly more expensive intervention is necessary. Make an appointment in the dental office MeDENTA and get the right information. 10. Position the sinuses in the upper jaw is too low, and I would like to implant an implant. What can be done? In practice MeDENTA successfully performed raising the level of the maxillary sinus to the necessary height for installation of dental implants. Make an appointment! 1. Why are gums bleeding? Gums are bleeding as a result of inflammation. Gingivitis is the result of inadequate hygiene and the presence of large amounts of hard and soft deposits on the teeth. Bleeding gums is an alarm to visit the dentist. 2. My teeth are moving? Teeth are usually dissect because of inflammation and loss of jaw bone as a consequence of periodontal disease. 3. Why are my gums retreated? 4. Why necks of teeth hurt on cold? The teeth can cause pain on cold, among other things due to the retreated gums when cement decay remains bleak, and it shows a remarkable sensitivity to cold. 5. Why do I have bad breath? The presence of periodontal pockets usually leads to bad breath due to accumulation of bacteria and their products in the area around the tooth. Periodontal pockets are the most important sign of periodontal disease. They can also occur as a result of inadequate contact between the fillings, or inadequate prosthetic work. 1. Why are my mouth and lips dry? Such complaints may be due to some bad habits (washing and biting lips), dry mouth, lack of some vitamins and some general diseases. 2. Why do I have a feeling of tingling and burning inside my mouth? Tingling and burning of mucous membranes in the mouth may be due to the presence of some local (infection by viruses and fungi, independent mucosal disease) and general (blood diseases, endocrine diseases, especially diabetes, taking certain medications, allergies, etc.) factors. 3. Why is my tongue coated? Coated tongue often occurs due to inadequate oral hygiene, smoking, fungal infections, the consumption of soft food, edentoulism and others. 4. Why do I have small wounds in my mouth? There are a number of reasons. Visit the dentist! 5. Why do ulcers occur? The occurrence of ulcers is associated with a reduction in body’s defense system and viral diseases. 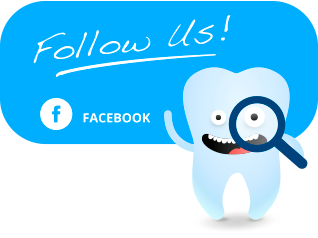 How to reach us and your new smile.